Christian Counseling Training | Soul Care Ministries International, Inc. | Soul Care Ministries International, Inc. Discover how to become a Christian counselor. The SCMi Institute provides distance education that leads to nationally recognized certification, license, and accredited degrees. 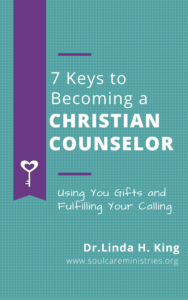 Contact us to request a 30-minute consultation, free eBook entitled 7 Keys to Becoming a Christian Counselor, and our N.C.C.A. Program Catalog for Christian Counseling Training. Do you find that people seek out your counsel even though you are not a licensed Christian counselor or certified life coach? Are you a clergy person who would like to be better equipped to meet the needs of your congregation and community? Are you a mental health professional who has a desire to more effectively serve your Christian clients? Do you feel its time to advance your educational training in Christian counseling, pastoral counseling, life coaching, or soul care? You may be experiencing a call of God. If you find the idea of becoming a professionally credentialed Christian counselor or life coach interesting, please explore the various courses and educational programs we offer. We will come alongside and help you earn your Christian counseling license and advanced degree. We specialize in helping those called to Christian Counseling, Pastoral Counseling, and/or Christian Life Coaching obtain nationally-recognized certification, license, accredited degrees, practical experience, and more. We are an N.C.C.A. Certified Academic Institution offering Christian counselors certification, license, and degrees programs. We also offer other certification programs, and independent studies, in other specialized areas of soul care including Biblical Counseling. Welcome to our Global On-line Campus! Let’s start a conversation about your specific training training needs, desires, and interests. The invaluable training, offered by the SCMi Institute, will be a key that opens doors for those who are gifted to counsel as you accept God’s divine call on your life, advance your ministry, and enhance your professional coaching services. 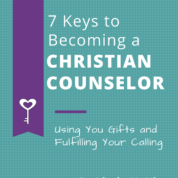 Contact us to request a free 30-Minute Consultation, Program Catalog, or our free eBook entitled 7 Keys to Becoming a Christian Counselor by our founder, Dr. Linda H. King. A member of our team will be in touch with you shortly.